For mortals caught in Faerie schemes, passion can be dangerous. 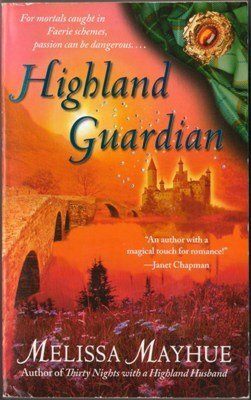 Sarah Douglas is a successful romance novelist who's come to Scotland hoping to overcome her writer's block and to come to terms with her strange ability to sense the emotions of everyone she touches. But from the moment she arrives, her problems only intensify. From the stalker who might be only a figment of her imagination. To her attraction to the darkly handsome owner of the cottage she's rented, nothing goes as she had planned. Ian McCullough is neck-deep in his own trouble. A half-mortal descendant of Faeries, he's been a Guardian for more than six hundred years, but he's never encountered a woman like Sarah. Assigned to protect her, he finds the job tougher than he could have imagined. Oh, he can handle the stalker, and even the renegade Faeries trying to kidnap her. But falling in love means forsaking his role as Guardian which is something he could never do.